STRSE send their heartfelt condolences to the Bush family. 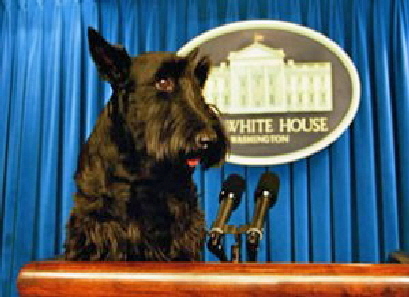 Barney did an amazing job representing Scotties all over the world. He was one of the most interesting First Dogs ever, and I am not just being bias. He had the Barneycam! It was apparent that the Bushes loved him with all their hearts, as did America! Run free Barney, you will stay in our hearts forever sweet boy!